A chui chow style cuisine is a common Chinese food that every group or single person will like. This cuisine use much oil but the food in Kim hiong food garden although it uses oil of course it’s not that oily to eat. This is some of the Kim hiong food garden offers that each and every one of us will enjoy! First is the healthy and great authentic chui chow style food! This is stir fry Vegetable with rice. 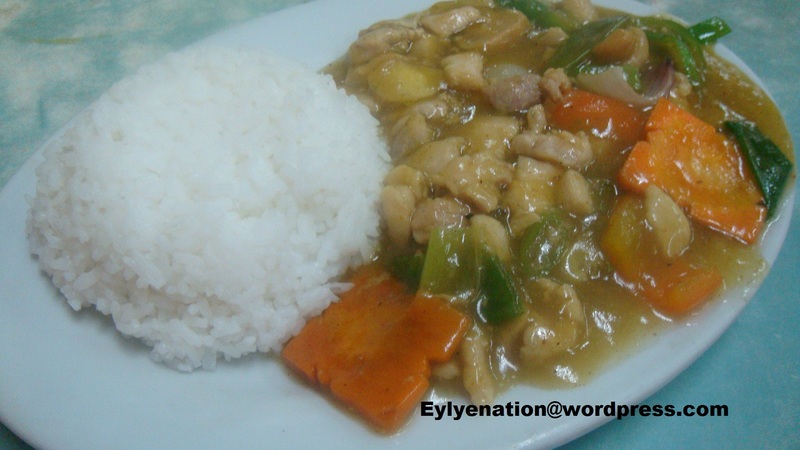 A simple but great Chinese cuisine, with carrots, mushroom, pork, and leafy vegetable like petchay, in a salty and creamy sauce, that is good together with mango juice! This is cost around 165 pesos for single plating that is good for 1-2 people depending on your appetite. Next is the Shrimp in white sauce with rice! 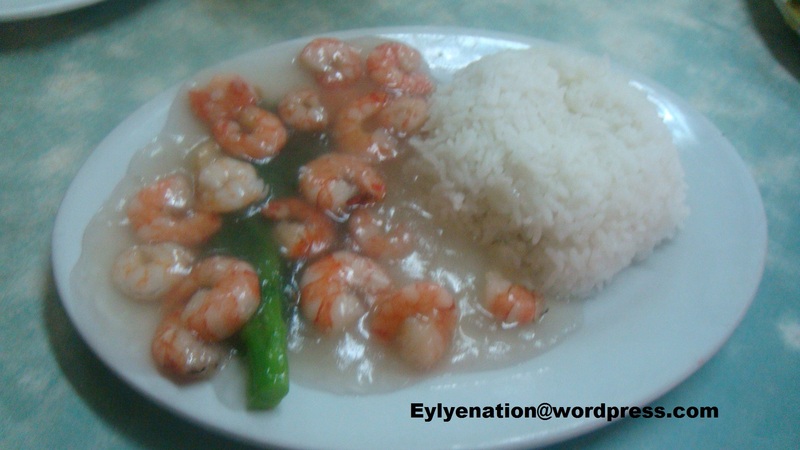 An authentic shrimp with thick white sauce, a salty kind of sweet taste that you can probably enjoy with soy sauce and chili garlic, a very nice combination. This is cost around 185 pesos for single plating that is good for 1-2 people depending on your appetite. This is good together with lemonade! and Fried Rice With mince beef strips! A very good food to start your day, with a terrific taste that will suit your taste buds. 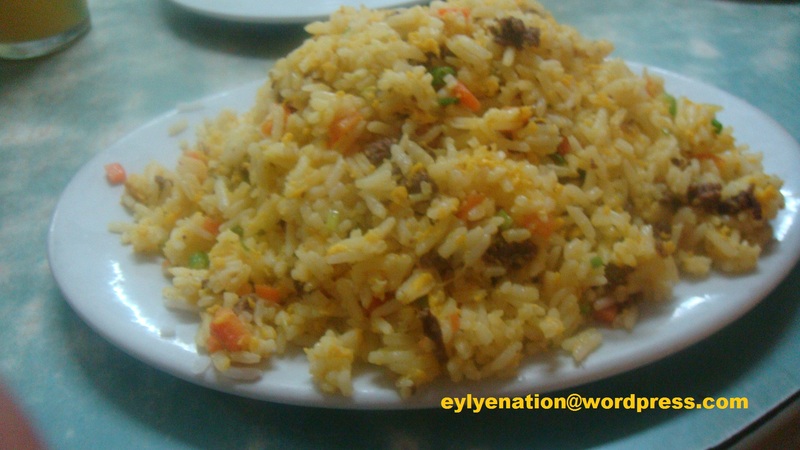 These recipes consist of rice, carrots, green peace and beef strips. With a salty and kind of sweet taste that probably you will like. This cost around 150-350 pesos depending on servings, it has solo, medium and big serving. The solo one is good for two persons. The medium is good for 3-4 people with a small appetite. The big one is good for 5-7 people depending on your appetite. Happy eating!